Good skin. Ahh, those were the days when our skin was clear and free from any impurities. We used to take them for granted. Now, we are doing everything in our stride to get them back and restore our once youthful skin. Well fret not, today we’ve got the perfect item for you. The holy grail, a cleansing balm — a different way to cleanse your face other than the typical cleanser we’re normally used to. 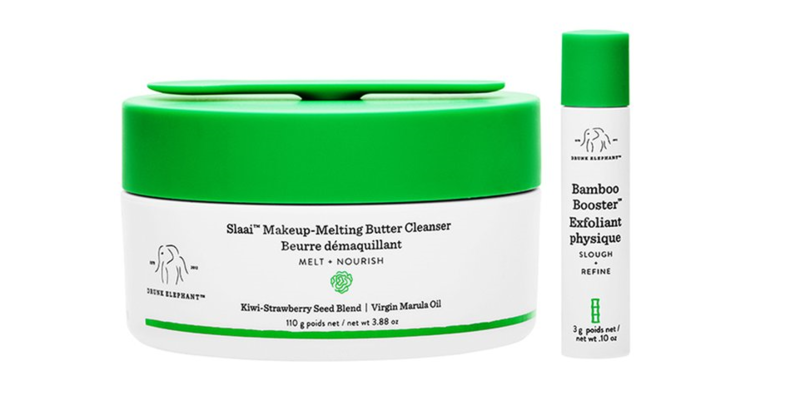 In case you’ve never heard of a cleansing balm before, We are going to give you the 411. As the name suggest, it is a balm that gets rid of all sorts. It is basically a makeup remover, facial cleanser and toner all in one. Just slather it all over your face, rub it in as it lifts off impurities and makeup, then rinse or remove it with a facial cloth. Voilà. Ain’t that simple? Some cleansing balms don’t even require you to wash your face. Talk about convenience. Well, now that you’re mighty convinced, let us introduce you to the top or newest cleansing balms in the market. It’s new. It’s fresh and it’s ready for us to have in our collection. 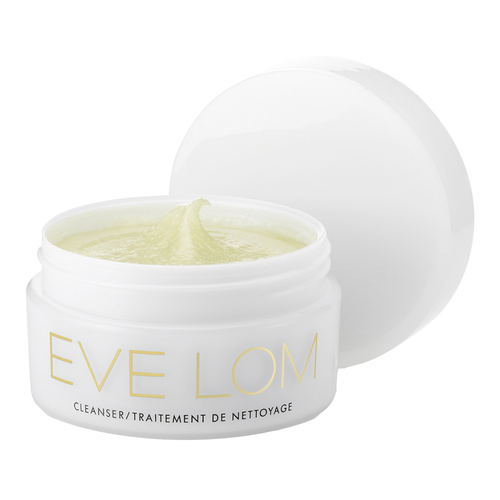 This cleanser is an ultra soft butter-like oil that melts all the dirt and makeup, and even sunscreen, off your face. It has an oil consistency that changes to milk once it touches water. Rest assured, it will also be gentle around the eyes, so that means all those mascaras and eyeliners will be coming off without that horrible stinging sensation. No names shall be mentioned. On top of that, this cleansing balm contains an abundance of antioxidant fruit extracts and a nourishing African oil blend of marula, baobab and more to gently soothe and brighten the skin, giving the skin a radiant glow and a dewy finish. It’ll clear your skin without any irritants. In order to effectively use this balm, all you have to do is add water to Slaai™ to activate it and apply it on a dry face. Wipe it off and done, you have activated the secret to natural dewy skin. Available at Sephora ION Orchard and sephora.sg. Don’t say I didn’t warn you but prepare to get addicted. This cleanser has a five-benefit formula that contains a combination of essential oils. Clove oil, check. Eucalyptus oil, check. Chamomile oil, double check. Along with hops oil and cocoa butter, all of these work together to decongest, exfoliate, tone, soothe and clear the skin, leaving it clean and soft. Of course, it gently lifts away makeup and impurities as well. Aside from that, you are able to use it accordingly depending on your skin type — for normal to dry skin, use it once in the evening; for congested skin, use it twice daily in the morning and evening. For application, slather it all over with dry fingers onto dry skin, then wet a muslin cloth in hot water and rub it all over your skin and neck to effectively remove all the cleanser off your face. Now, it’s time to rinse your face with cold water, before putting a damp cloth on your face to tighten your pores. This routine sounds like a lot of effort, but really, it sounds like the perfect solution to good, healthy skin. Available at escentials stores, escentials.com and sephora.com/sg. The cult favourite is back and it’s equipped with improved formulas, plus it comes in two sizes, 100ml and 180ml. This cleansing balm is able to melt all your makeup in one go without drying out your skin, all thanks to the natural oils that are in the balm. Containing vitamin C-rich acerola extract to naturally brighten up the skin and give it a radiating glow, some ingredients from the previous formula are also replaced with more naturally-derived ingredients such as ester oil and phenoxyethanol, an ingredient from green tea. There’s also the new vitamin E acetate that’s so safe, it’s kid-friendly. To use, scoop the product with a spatula and apply it on dry skin, damp your face slightly for a milky texture. Once done, rinse with room temperature water and simply call it a night. Wake me up when September ends. Cleanse all your worries away! 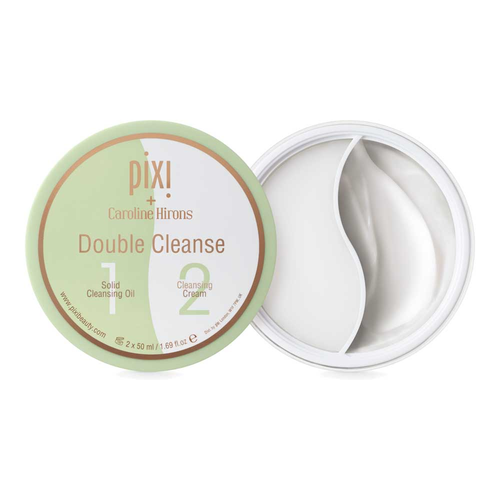 Introducing the Pixi Double Cleanse. As the name suggests, it contains two types of cleansers, a solid cleansing oil and a cleansing cream for the ultimate deep cleanse. Here, the cleansing oil (or balm, really) does the job of getting rid of dirt, makeup and sunscreen, while the cleansing cream cleanses as well as conditions your face, leaving a soft layer for the next step in your skincare routine. For both of the cleansers, apply a small amount onto your face, massage thoroughly and wipe it off with a damp face cloth. To further persuade your decision to add this product to your collection, the cleansing oil contains all sorts of essential oils, including avocado oil, yum! Take the day off and delve into a deep cleanse with the Clinique Take The Day Off Cleansing Balm. The name of the cleansing balm is a clear giveaway, you should literally have the whole day and treat yourself like the Queen you are. This is an exquisite balm that changes to an oil to milk consistency. It rubs onto your skin like butter and bathes away all the dirt and impurities off your skin, so much so that it gets rid of even the most persistent makeup. Oh and this is where it gets exciting, it is suitable for all skin types! Once again, we stan an all-inclusive brand! All you have to do is massage the balm all over your face, wash, and pat dry once you’re done. Now, go ahead and flaunt your luminous and dewy finish. 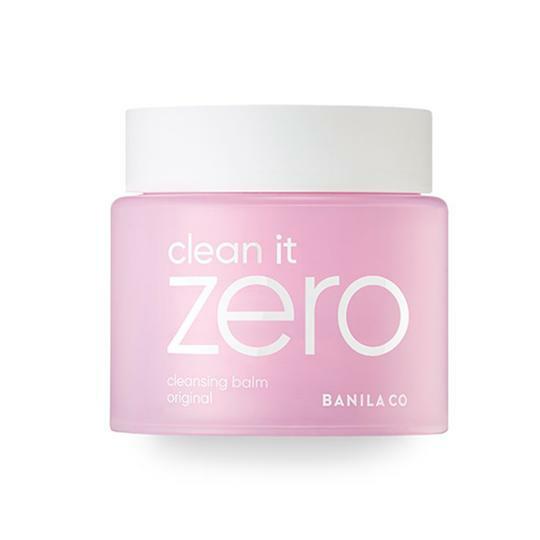 Available at Clinique counters and sephora.com/sg. I’ve got the magic in me! Anyone recognize that lyric? If you do, you’re a real one. First of all, can we talk about the packaging? It looks so minimalistic and it’s the perfect shelfie. But hey, it doesn’t just look good on the shelf, it is effective too. It is non-irritating and does the job of getting rid of all the grimy dirt that have been left on our skin due to the polluted environment. 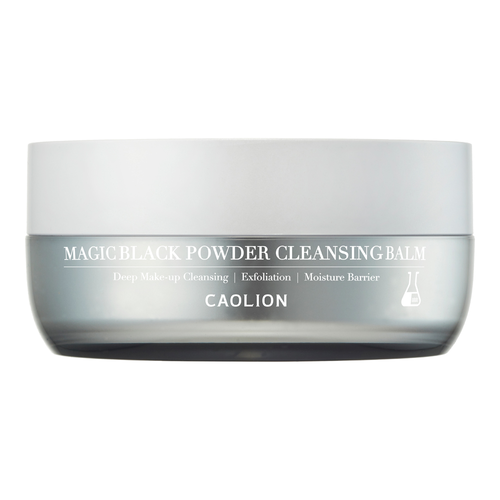 It is a makeup remover, exfoliator and a moisture barrier, all in one. We sure do love when a product has several uses to them. Apply the product generously and massage gently onto your skin. Treat it like a good massage sesh. Once you’re satisfied, wash it off and pat pat, and finito! I usually would recommend doing it at night before going to bed but hey, you do you boo. Original skin. Just what we all want. Origins has been a skincare favourite for many celebrities and for good reason. Just take a look at this cleanser. It is a jelly substance that melts to a milk-like texture that dissolves everything off your face. Containing Canadian willowherb and pink rock rose, it helps to boost your skin’s natural glow and allows you to glow from within. Use it twice daily to increase efficiency. For those stubborn makeup traces, massage the jelly onto the makeup and allow it to sit for a few seconds to loosen it. Wipe away with a cotton pad and gently rinse your face. Available at Origins stores and Sephora.com/sg.